A huge development in the off-screen drama of Empire star Jussie Smollett. Today, it was announced that all charges against the actor will be dropped. And his criminal record has been wiped clean. Jussie's attorneys released this statement. "Today all criminal charges against Jussie Smollett were dropped and his record has been wiped clean of the filing of this tragic complaint against him." The attorneys Tina Glandian and Patricia Brown Holmes continued in a statement they provided to media outlets. "Jussie was attacked by two people he was unable to identify on January 29th. He was a victim who was vilified and made to appear as a perpetrator as a result of false and inappropriate remarks made to the public causing an inappropriate rush to judgment." 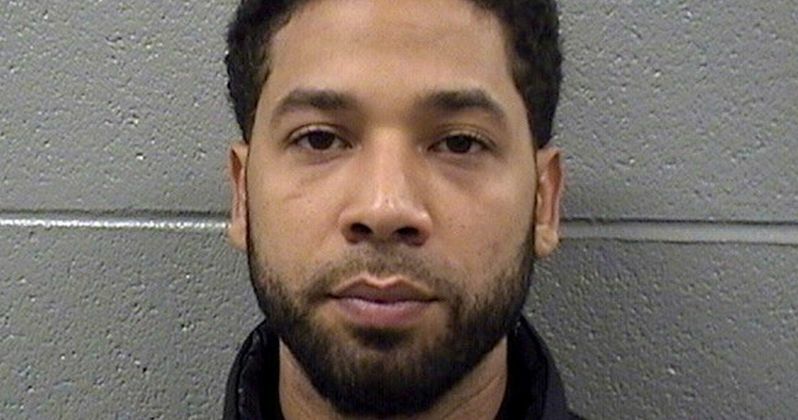 The Empire actor was arrested on multiple felony charges last month for allegedly staging a racist and homophobic attack against himself, accusations which Smollett adamantly denied. He also was accused of sending a threatening letter to himself, which was received at Cinespace Studios a week before the alleged attack. All the charges that were dropped were local to his Chicago jurisdiction. The charges with the threatening letter have not been dropped. That case is federal because it involves using the US Mail so federal authorities continue investigating that matter. The Fox show Empire had already dropped Jussie from the remainder of the fifth season following his arrest and charges. We don't know if Fox will rehire Jussie after hearing today that the charges are dropped. The only word we have so far in regards to how they are handling this new information surrounding the embattled star is from a Fox spokesperson that had this to say earlier today. "Many of you have reached out regarding today's developments in the Jussie Smollett case. As of this time, the studio and network have no comment. I will of course let you know if that changes." Most of the charges in the case were being levied in Cook County. Cook County State's attorney has dropped all the charges against Smollett. The prosecutor who dropped the charges released this statement about the surprising turn of events. There is a statement from the attorney for the the two brothers that were first accused of the horrible attack, only to reveal that they had been in contact with Jussie before the attack, and were paid money to orchestrate the event with Smollett. Gloria Schmidt, attorney for the Osundairo brothers, says they "are still reviewing all the legal stuff" and are not sure yet if they will release a statement about today's news. Two law enforcement sources with knowledge of the investigation told reporters that the Chicago Police believe actor Jussie Smollett paid $3,500 to the brothers to assault him in the horrible crime that shocked the country. Smollett had been up on 16 charges of Disorderly Conduct. This news comes from CNN.